An iframe is like a window to another website. 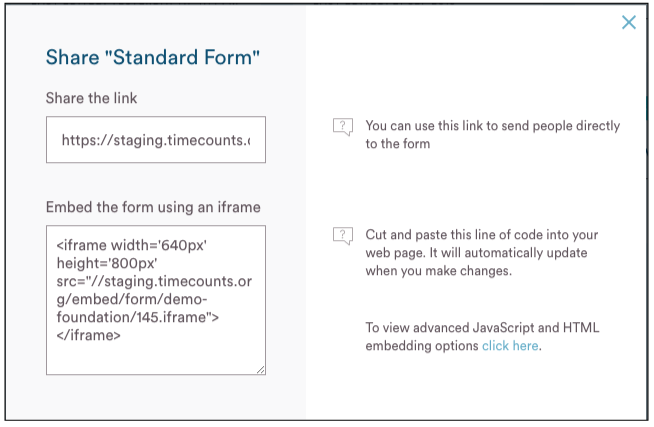 When you embed with an iframe, the form will sit inside a frame on your website, but will retain the look and feel of the form as if you are viewing it with Timecounts. This makes embedding simple and painless for you, since there is no need to worry about fixing your website's styles or code. To embed with iframe, simply copy the iframe code in the Share window (example in the image above) and paste into the HTML editor of your website. Note that you can change the width and height of the form iframe to suit your website. The default width is '640px' and the default height is '800px' (find them in the code above) - these are the values you can play around with. 1000px height will generate a slightly longer form, and 1400px will generate an even longer form. 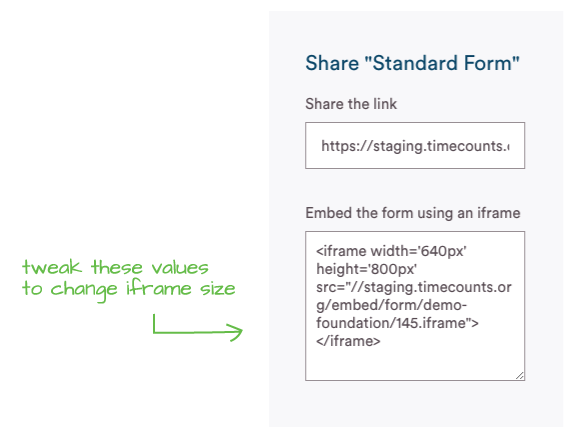 You wouldn't want the iframe to be longer or much wider than your form, though, so test a few different size values when embedding the code on your website. 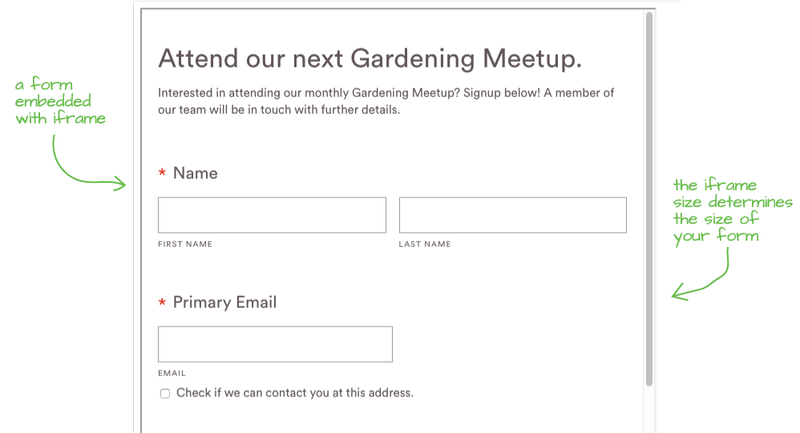 If you're still unsure about embedding your signup form, or you are having troubles, please let us know.